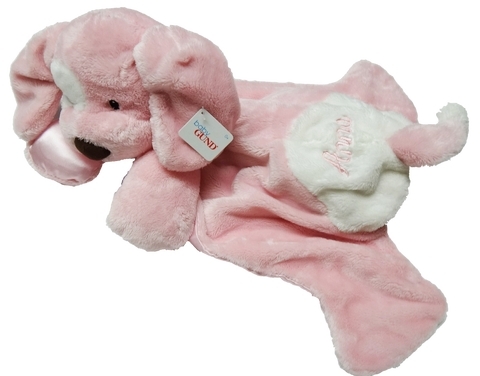 The GUND® Huggybuddy™ Pink Spunky blankie is made of soft pink fleece fabric with white fleece patches and a brown velvet nose. It is lined with a light pink satin. The black eyes are embroidered. The blanket measures 20" / 51 cm long . It is machine washable and dryable.